This post is part of an online discussion on large-scale land interventions that runs through December 14, 2014. Can these initiatives fulfil their promises? Read more here and comment below. Several kilometers south of the U.S.-Mexico border is a gabion dam commemorating Marcelino Alfaro. A decade ago Alfaro didn’t know what a gabion was. But on the January morning in 2014 that Alfaro suffered a fatal heart attack, the seventy-something leader of the Ejido 18 de Agosto was inspecting the gabions (rock-filled baskets formed by a mesh of galvanized wire) and trincheras (gathered rock check dams) that were restoring life to the communal land grant he called home. At the reception following the funeral, while mariachis played Alfaro’s favorite rancheras, family and friends decided to memorialize the beloved Marcelino by building another gabion as part of a plan to revive the ejido (government land grant). Present at the reception was Valer Austin, cofounder, with her husband Josiah, of Cuenca Los Ojos (CLO), which since the early 1980s has been acquiring severely degraded ranches along both sides of U.S.-Mexico border. Marcelino Alfaro inspects a newly-constructed gabion built by both men and women of the community. Photo Tom Barry. Tapping their own family wealth and working closely with an array of governmental and nongovernmental groups, together with private landowners on both sides of the border, the Austins and their foundation have successfully fostered an alternative vision of border security. The vision is based on innovative concepts of drylands restoration, water harvesting, and restoration communities and economies. Central to their restoration strategy is the construction of trincheras and gabions. CLO has built more than 40,000 trincheras, 50 large gabion dams (many spanning more than 20 meters), and more than four dozen large earth berms over the past three decades on the 750 square kilometers they are restoring. The cross-border area is where the U.S states of New Mexico and Arizona, and the Mexican states of Chihuahua and Sonora, meet on the international border. This “four-corners” political character perhaps added to the mistrust Alfaro and his community felt. Here, the Rocky Mountains and the Sierra Madre Occidental merge in a series of mountainous outcroppings known as the Madrean Sky Islands Archipelago (or simply, the Sky Islands). The Chihuahuan Desert reaches west to meet the Sonoran Desert – two of the four major deserts of the North American West. “If you had to pick one place in the entire continent where the greatest number of surprising plants and animals mingle in proximity to each other, you would do well to stick your pin in this part of the map,” wrote William duBuys in his 2011 book The Great Aridness. The area’s high-desert topography spans four major biotic systems—all of which have been severely degraded after two centuries of mining, logging, and ranching. CLO owns nearly 200,000 acres of it. 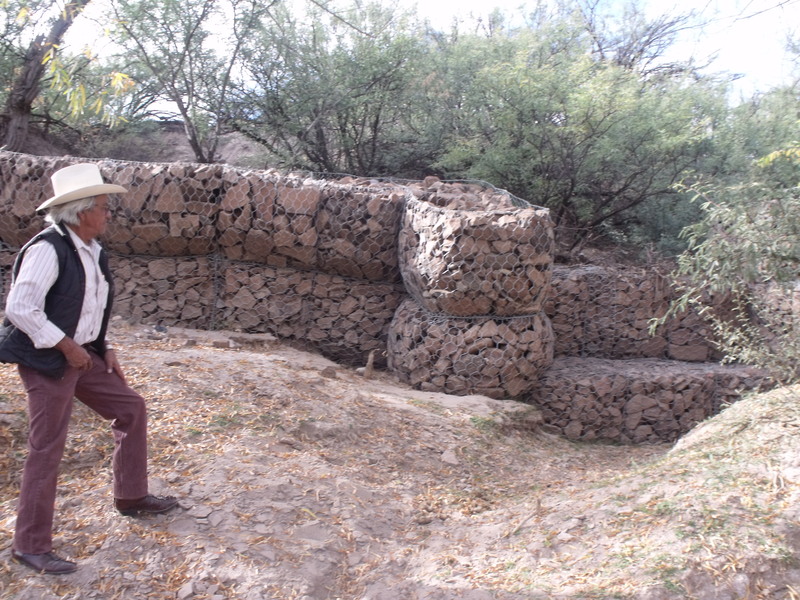 CLO’s Valer Austin next to a gabion on a ranch her organization is working to restore. Gabions collect soil runoff, thereby restoring incised channels while allowing water to seep into land. Photo by Tom Barry. More than three decades after it began, the CLO cross-border project is attracting international attention as a global model for drylands restoration. CLO’s many achievements in reviving a long-disappeared desert marshland, reversing a two-century process of devastating erosion, and restoring wildlife habitats have turned skeptics in the scientific, governmental, and environmental communities into enthusiasts. Stopping water from carrying soil down incised channels and washes is essential in this region swept by summer monsoons, when half of the year’s total precipitation can come from just one rain event. As CLO has amply demonstrated, successful drylands restoration depends on strategies and techniques that not only slow the rush of water across the landscape but also facilitate its infiltration into the landscape. “What must happen is that the land must again become a sponge,” says Valer Austin. Rather than shedding water, she explains, land should soak up the little water that comes its way and then give it back in the form of grasslands, desert wetlands, and perennial streams. During the final years of his life, Marcelino Alfaro injected hope into the diminishing community of ejidatarios with his belief that Ejido 18 de Agosto could survive. If they joined together to heal the land—then plagued with severely overgrazed rangelands, croplands turned to dust, and deeply incised arroyos threatening to swallow up the village’s center—they could rid themselves of the despair that gripped the impoverished ejido. To memorialize Alfaro, his family, friends, and CLO’s Valer Austin decided on the night of the funeral to build a new gabion dam across one of the most eroded arroyos. 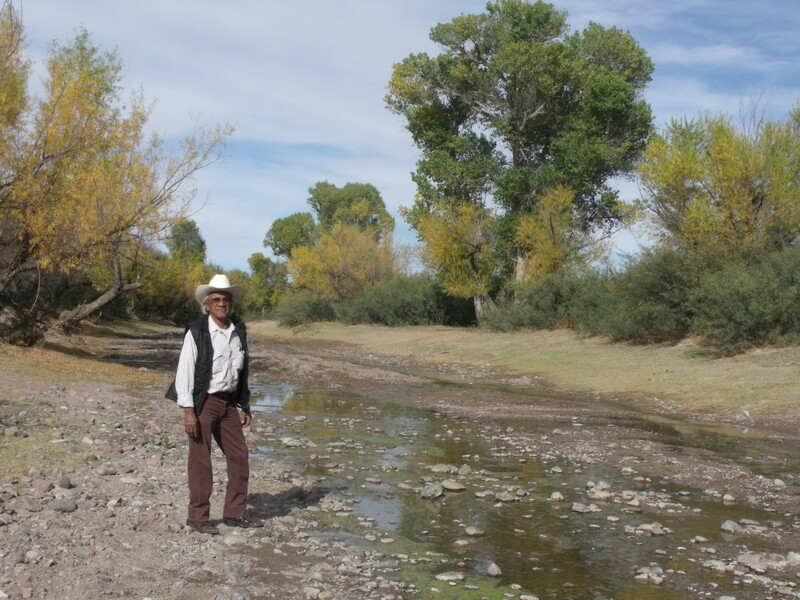 Marcelino Alfaro said well levels stopped dropping and the Río San Bernardino flows even during dry months thanks to CLO’s water-harvesting and land-restoration practices. Photo by Tom Barry. Because of CLO’s land restoration work on both sides of the U.S.-Mexico border, a cross-border wetlands area has reemerged, a transboundary river is now flowing year round for the first time in many decades, and desert flora and fauna are abundant across formerly eroded landscapes. CLO stands at the forefront of this new vision of cross-border environmentalism. It is a vision of land restoration that Mexican ejidatarios, U.S. ranchers, and government agencies on both sides of the border are now making their own. Tom Barry, senior policy analyst at the Center for International Policy, is the author of numerous books, including three on land-use and agriculture in Mexico and Central America. 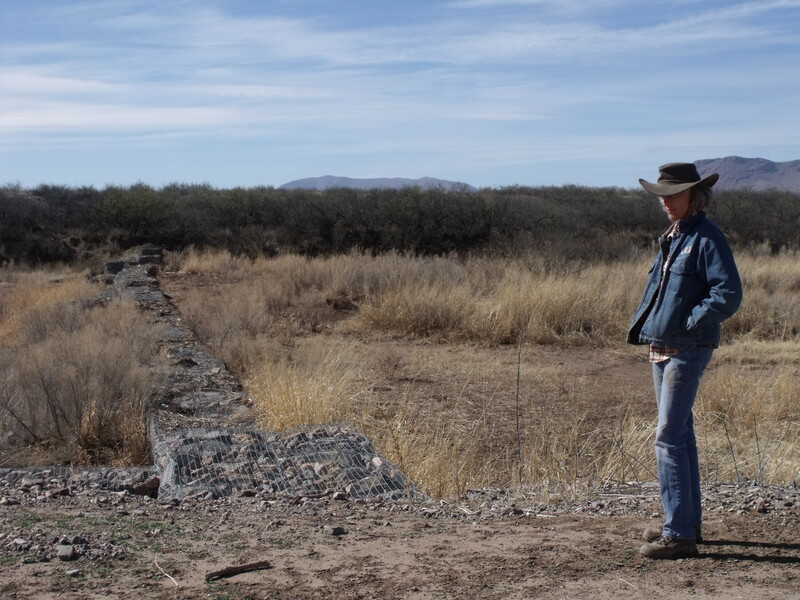 He is the author of the monograph, “Transborder Drylands Restoration: Vision and Reality After Three Decades of Innovative Partnerships on the U.S.-Mexico Border,” published by S.A.P.I.EN.S, online at: http://sapiens.revues.org/1553. Barry is currently writing a book on the water crisis and climate change in the TransBorder West.